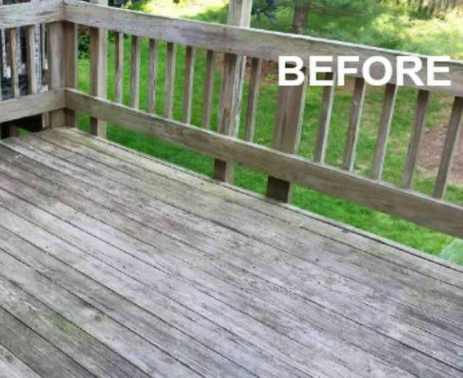 Are algae, mold, chalk or weeds taking over your deck, siding or driveway? 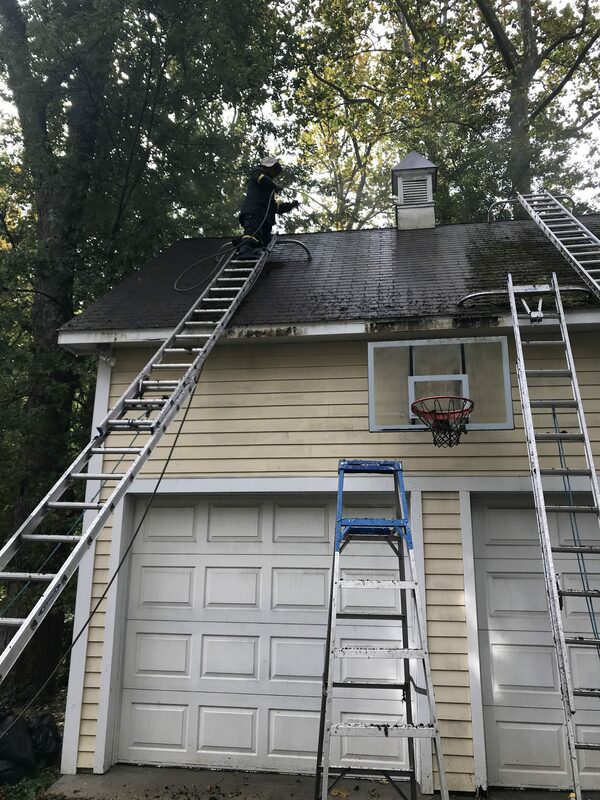 Our power washing service is the perfect solution to help get the exterior of your home looking spick and span again in no time. Over time, dirt, sediment and other debris build up on the walls and other areas of your home. This leaves it looking rundown and neglected. Not only do these elements taint the look of your home but they can also accelerate wear and tear. 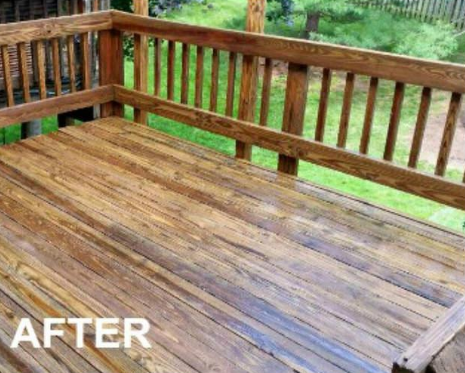 This is why you need to get in touch with us today for power washing and painting services. It is about time you took some action and finally redeemed your home from the chocking hold of mold, mildew and other unwanted substances. 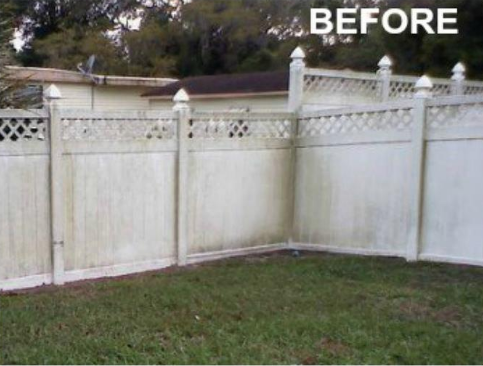 With our pressure washing service, you can give your home a refurbished look and extended life. If there are any stains, we will give advice on the safest methods of removing them and present you with a quote where necessary. 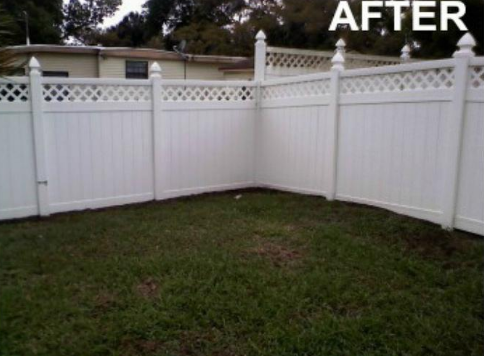 With each type of fence, we employ different methods of cleaning and maintenance to ensure the best possible results. Most home owners might opt to do the exterior cleaning by themselves. Not only is this insufficient when a garden hose is used but, hiring the right equipment is expensive. With our power washing services, we will bring all the equipment needed to achieve the best results. In addition to that, the services will be provided by a team of high skilled cleaners who understand the dynamics of this joband can guarantee the best results. We have invested in the most advanced commercial machines. This is in order to provide the best results to our clients and their homes. To improve our results, we also use high end cleaning agents and highly experienced and organized cleaning crews who are able to exceed the client’s expectations with every cleaning job completed. Our impressive results are not only attributed to our use of the best machines and cleaning agents but also to our diligent work. We work tirelessly to follow each step of the process and we don’t cut corners. This is why we are able to leave your property looking pristine. 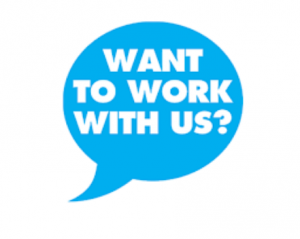 Not only do we hire highly qualified staff, we also make sure that they are constantly trained to keep up with the changing trends. This way, they stay up to date with the latest cleaning processes and techniques. We have a very simple policy. We will not leave until you are happy with the work we have done. We take the satisfaction of our clients very seriously and we make sure that all our clients are happy with the work we have done. We know how valuable your home is to you. We employ our soft washing technique to safeguard the integrity of your home and the delicate surfaces. With our cleaning techniques, you have clean surfaces and no damages at all. Our staff is well educated and equipped on how to clean the different surfaces to achieve the best results without compromising on the state of the material. 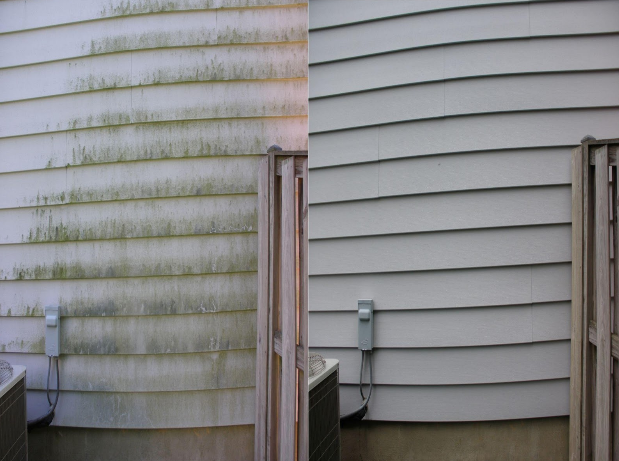 With exterior power washing, we have to be careful with the cleaning product we use. The reason behind this is to safeguard the environment and any plants you might have. That is why we use eco-friendly cleaning supplies and chemicals that are safe for the environment and for your plants and flowers. If you are looking to reclaim your home from the clutches of age, dirt, grime and mold, give us a call today and let us restore its beauty.